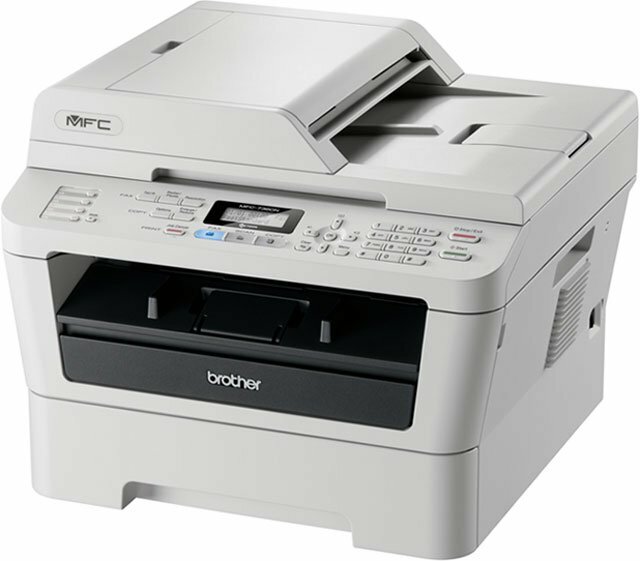 Brother MFC-7360N - Multifunction Desktop Laser Printer, monochrome, USB, 32MB, 32PPM, 2400x600 DPI, 24cpm, 600 DPI optical scan, automatic duplex print, 250 sheet input, Ethernet + USB. The MFC-7360N is a compact and affordable all-in-one that produces fast, high-quality monochrome laser printing and copying, as well as color scanning, faxing, and PC faxing. It provides a built-in Ethernet interface to share with others on your network. Plus, a 35-page capacity automatic document feeder allows you to copy, scan or fax multi-page documents quickly and easily. The MFC-7360N offers flexible paper handling via an adjustable, 250-sheet capacity paper tray for letter or legal size paper. In addition, its advanced capabilities allow you to scan documents to a file, image, OCR, or E-mail. To help lower your operating costs, a high-yield replacement toner cartridge* is available. Black Toner Cartridge, laser, 1200 page. The Brother MFC-7360N is also known as MFC-7360N	or MFC7360N	.